The seeds of Spirit of Vera were first planted in 2014 in the jungles of Southern Mexico, near Palenque. 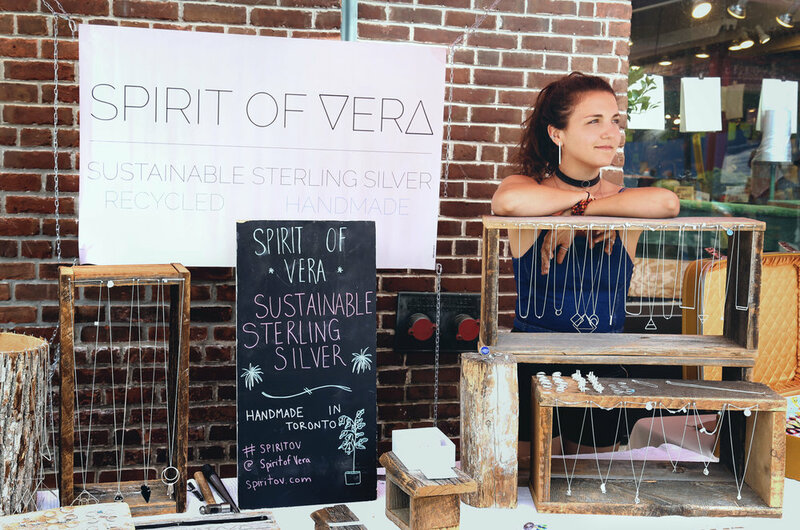 It was there that a local Mayan shaman shared his knowledge of sacred medicines, the jungle, and traditional methods of working with the locally abundant silver, with Vera Audette, the artist behind Spirit of Vera. The pieces they made that day are still worn by Vera. Travelling south from Mexico, Vera eventually came to San Marcos de La Laguna in Guatemala. Here, she focused on meditating on her purpose and found she wanted to start a silversmith business. Full of hope and drive, she then decided to hitchhike most of the journey back to Canada to save money to invest in her business. Since she only had a few dollars, she wanted to be able to begin investing in herself. Since then she has formulated her silver business in compliance with all of her unwavering principles based on acts of service and compassion towards all. Her introduction to silversmithing motivated her silver sourcing, and also the use of sacred, yet simple, shapes into her designs. She continued to teach herself to silversmith, starting in her home, and now in a lofty studio in the Junction.